The action on these Schrade knives is lightning fast. 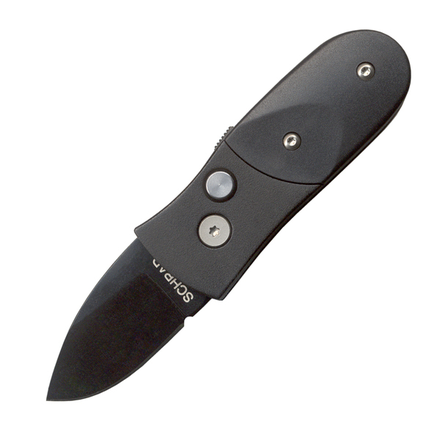 This California Issue knife features a black finished aluminum handle. The blade is black finished with a plain edge. This model has a safety on the handle. This is a great small automatic knife!